I haven’t done very well with keeping you updated about the new eating plan I am following or even blogging in general lately. Sorry about that! I’ve been super busy at work and by the time that I get home, making dinner requires all of the effort and then some that I have left. I’ve been running around with errands and seeing family on Saturday’s and then Sunday is dedicated to all of the food that I’ll need for the plan. Needless to say, I need a few weeks off from life, but that surely isn’t going to happen any time soon. I’m hoping that I can start to get back into the swing of my usual routine before the craziness of the holidays descends down upon us! Anyway, as I mentioned about a month ago, I was going to start the Fast Metabolism Diet. The basis of the plan is to have high carb days, no/low carb days, and moderate carb days which are called phases. There are certain foods you can eat within each phase and you are to exercise at least 3 times in a week. I read through the recipes in the book and that’s what we ate from the first week. The second week I was feeling more creative and decided to make my own recipe following the phases. 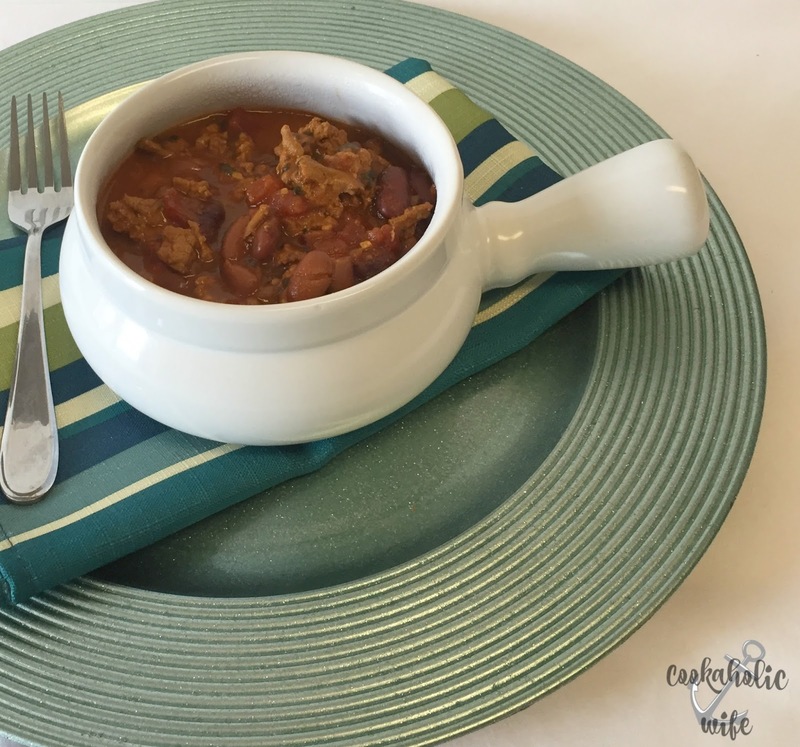 A slow cooker spicy chili made with two types of beans. Compliant for the Fast Metabolism Diet. 1. In a skillet over medium heat, add the turkey and onion. Cook, crumbling the turkey until just browned. 2. Stir in the minced garlic and cook 1 minute more. Sprinkle the chili powder, oregano and cilantro on top. 3. Add the chipotle chiles, beans, diced tomatoes and tomato soup to a slow cooker. Stir in the turkey mixture. 5. Serve with crackers or bread and top with guacamole, sour cream, or fresh cilantro if desired. 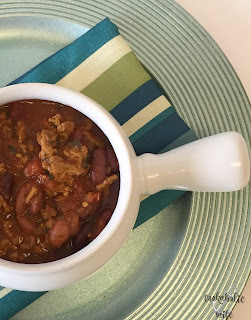 The chili is perfectly spicy with just the right amount of bean to ground meat ratio. Tom isn’t a huge fan of ground turkey because he thinks it gets too dry in recipes, but he had no idea this was even turkey. He thought it was ground beef. 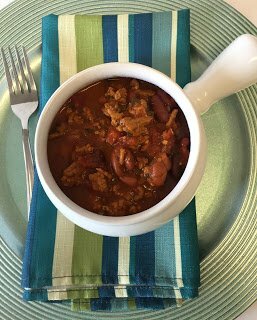 If you are following the Fast Metabolism Diet, the recipe works on P1 and P3, depending on what you eat the chili with.